Stadion der Freundschaft opened in early 1930. It was initially called Städtische Stadion, and received its present name in 1950. The stadium became the new home of Energie Cottbus in the late 1970s. At that time, it was oval-shaped, had one covered main stand, and open terraces on all other sides. It could hold about 15,000 spectators. In 1983, several renovations were performed on the terraces, and five years later a new main stand opened. 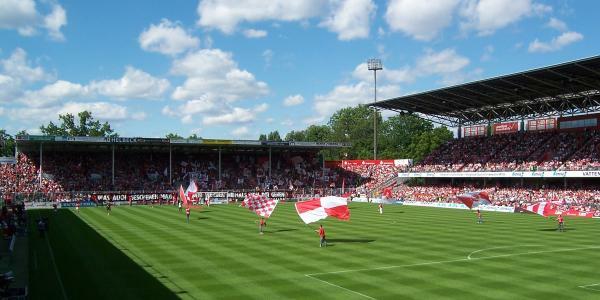 Stadion der Freundschaft underwent several minor refurbishments in the 1990s, but more substantial improvements were needed when the club first promoted to the 2. Bundesliga and later to the Bundesliga. First, in 2004, a new east stand was built, which was followed in 2007 and 2008 by two new stands at both ends. 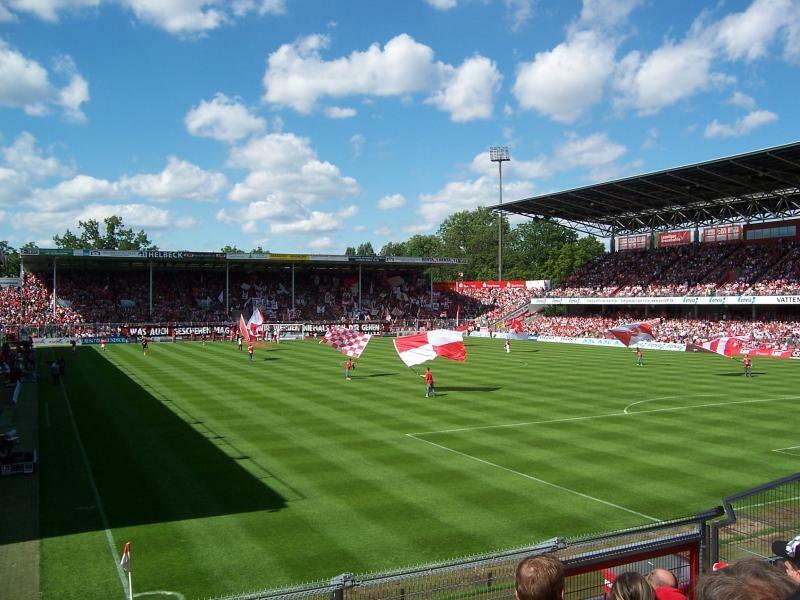 In 2011, the stadium became the property of Energie Cottbus, who bought the stadium from the city for a sum of almost €2 million. Stadion der Freundschaft is located just south-east of Cottbus’ city centre and just east of the main rail station. The stadium lies an approximate 15-minute walk downhill from the main rail station. The walk from Cottbus’ city centre takes only a few minutes more. There are frequent direct trains from Berlin Hbf and Ostbahnhof to Cottbus. The journey takes under 90 minutes. There are also direct train from Dresden, though less frequent, that take just under two hours. If arriving by car from the A15 motorway, take exit 4 Cottbus-West, follow the B169 toward the city, and then continue on the B168 toward Guben. Signs will guide you to the stadium from there. If coming from the east (Poland), leave the A15 at exit 5 Cottbus-Süd, follow the B168 north, and then the signs toward the stadium. Tickets for Energie Cottbus matches can be bought online, at the Energie Fan Shop at the Berliner Str. 3 just west of the city centre, or at one of the other pre-sale points. Ticket prices range from €15.00 for a seat at the lower west stand to €26.00 for a seat at the upper west stand. A ticket for one of the uncovered standing areas costs €10.00 and that for one of the covered ones €12.00. Prices are €1.50 to €2.00 cheaper if bought in pre-sale, and can be raised by €1.00 for top matches. Fcenergie.de – Official website of FC Energie Cottbus. Cottbus.de – Cottbus tourist information. Bahn.de – Check train times and fares.